Some individuals are under the a wrong impression that backseat passengers are safer than those in the front. There are plenty of signs on the highways informing us about road safety. However, many individuals riding in the backseat still tend to neglect the basic safety requirement of buckling their seat belt. They are often under the notion that only the driver and the people in the front of the vehicle are at risk in the event of a car crash. The reality is that in the event of a collision, unbuckled passengers in the rear pose a risk of slamming forward. This can be fatal for the driver and other passengers. A recent survey shows that 72% adults put on their seat belts when they are sitting in the back seat, while 91% use the belt when they sit in the front. That means there is a difference of 20%. The people in the age group 35 – 54 are least likely to buckle themselves in the rear seat. Only 60% of the back seat riders in this age group bother to put on their belts, while 73% of the adults in the age group 18 – 34 do it. The unfortunate demise of Princess Diana is a prominent example of the dangerous nature of unbuckled riding. She died in a car crash in Paris at the age of 36 because she was riding in the back seat of a Mercedes without buckling the belt. However, two decades after the accident, many people are still failing to learn a lesson and similar crashes still take place. What happens if you don’t wear your seat belt? Some people are under the a wrong impression that backseat passengers are safer than those in the front. The fact is that the laws of Physics remain the same, whether you sit in the front or at the back. Many back seat riders think that they will not be pushed out of the windshield in a crash because the back part of the front seat would come in the way. However, as previously mentioned, this can prove fatal for the driver. At the time of a car crash the unbuckled passenger sitting in the back can hit against the seat of the driver and push him into the steering wheel and the airbag which typically has a 35 MPH impact. Nearly half of the deaths in vehicle crashes are due to unbuckled occupants. Reports show that 4 out of 5 people who ride for a short distance or take a taxi neglect to use their rear seat belt. They either feel it is unnecessary or are not aware that they have to tie the belt for safety. 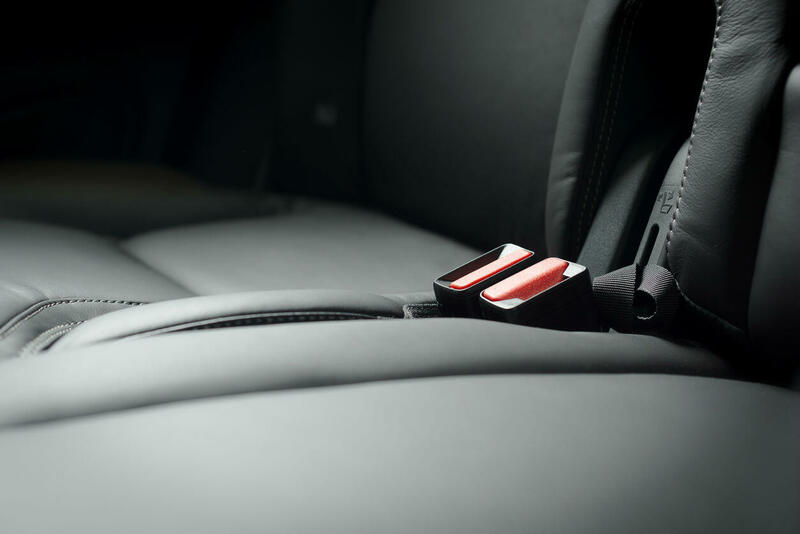 Unbuckled passengers in the back seat are three times more susceptible to death in a collision. This risk is increasing with the rise in ride-sharing services. It is necessary that back seat passengers understand the importance of fastening their seat belt. In case you are injured in an accident, you should speak with a St. Louis car accident lawyer. Give us a call 24/7 at (314) 361-4242 to make sure your legal rights are protected after an accident.